IMPACT’s Novice class is specifically designed for adults of all ages. Improve your fitness in a supportive group environment. Discover your inner martial artist. Learn basic blocks, strikes, kicks and stances. Train your mind and body together with our specially designed classes that promote good health. 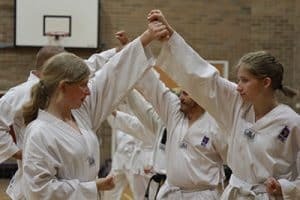 Train your mind and body together through Martial Arts discipline. Build endurance and flexibility while experiencing weight loss. 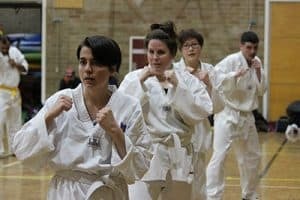 Martial Arts training is a great way to de-stress. Haven’t had chances to exercise in a while? IMPACT’s novice class caters to individuals of all fitness levels.From low impact to high impact exercises our knowledgeable instructors will guide you to regaining your younger body or creating a new stronger body. 1 term of Novice classes will see you improving your mobility, core strength, cardiovascular fitness and everyday energy. Martial arts training provides an all over body workout. Our instructors will help you improve your lifestyle through Martial Arts training. Gain your physical, mental and emotional health back today! IMPACT teaches Olympic style WTF taekwondo sparring. 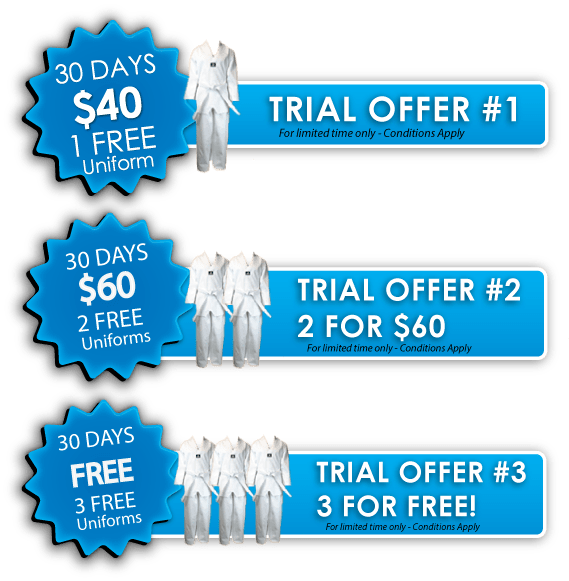 You will be taught some sparring techniques in the Extreme program; however, we have an extension class called the Elite program where you can learn full contact, competition style sparring and compete in tournaments. 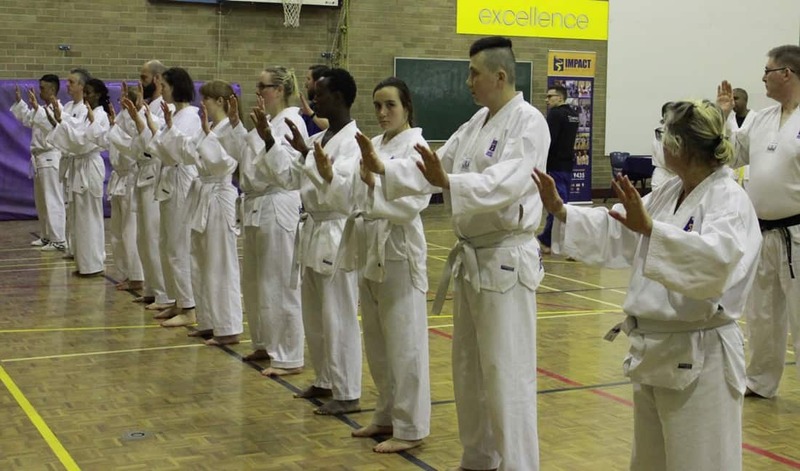 Self defense is a key element of the Taekwondo Challenge syllabus. IMPACT also offers regular self-defence seminars which look at appropriate and practical self-defence for different situations. We teach woman’s self-defence, pressure points and many other aspects of self-defense. Haven’t had chances to exercise in a while? IMPACT’s novice class caters to individuals of all fitness levels. From low impact to high impact exercises our knowledgeable instructors will guide you to regaining your younger body or creating a new stronger body. 1 term of Novice classes will see you improving your mobility, core strength, cardiovascular fitness and everyday energy. Martial arts training provides an all over body workout. 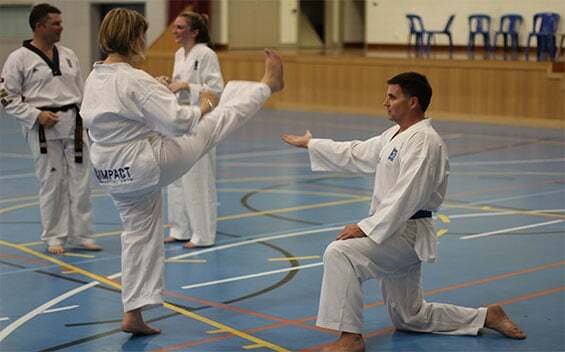 Our instructors will help you improve your lifestyle through Martial Arts training. Gain your physical, mental and emotional health back today!